The Colbert Hills Championship Course is an 18-hole links style golf course situated in the Flint Hills of Kansas. The one-of-a-kind layout is both challenging and fair for players of all abilities. You'll use every club in your bag on this course! Five teeing areas at each hole to allow golfers to determine the length of the hole and the manner they desire to play, measuring from 4,982 to 7,525 yards from our famous Black & Blue Bruiser Tees. Tees have zoysia grass. 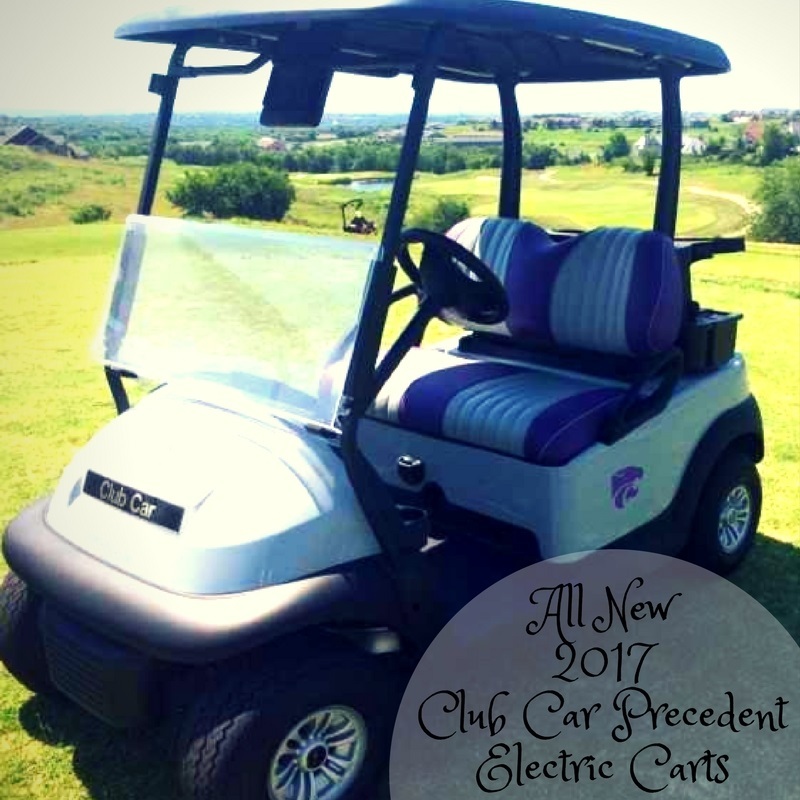 All new 2017 Club Car Precedent Electric Carts with custom bucket seats, phone chargers, club cleaner and sand bottles and GPS units to let you know yardage to your layup and the hole. You'll enjoy the ride around approximately 7 miles of cart path!